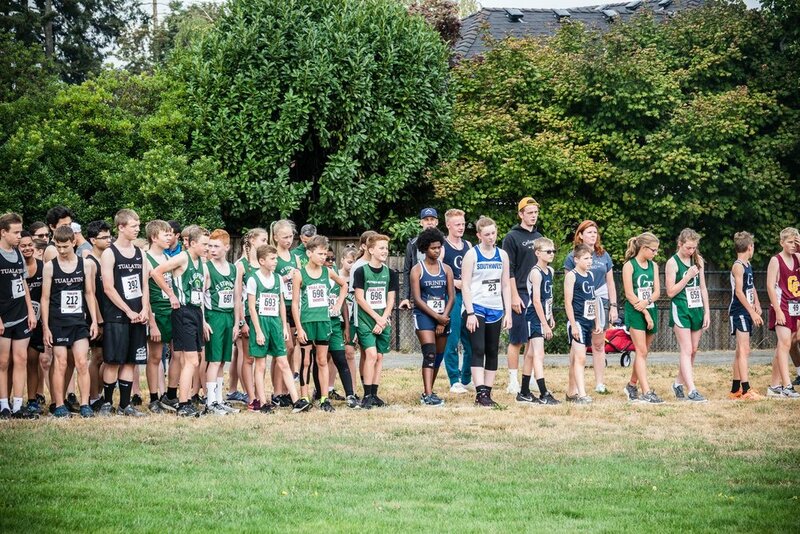 On Sept 8, 2018 Trinity Thunder XC team participated in the Tualatin Invitational. For the women's 3000 meter novice race, Sophia came in at 18:29.69 (#28 of 34). Ruth was our women's 5000 meter J.V. race entry and she placed #32 of 51 with a time of 28:00.00 (improving on 31:21 last week). The women's 5000 meter varsity race included Annika at 25:20.54 (#52 of 59). Last year for this race her time was 28:07 and her time from last week's 5K was 25:29. 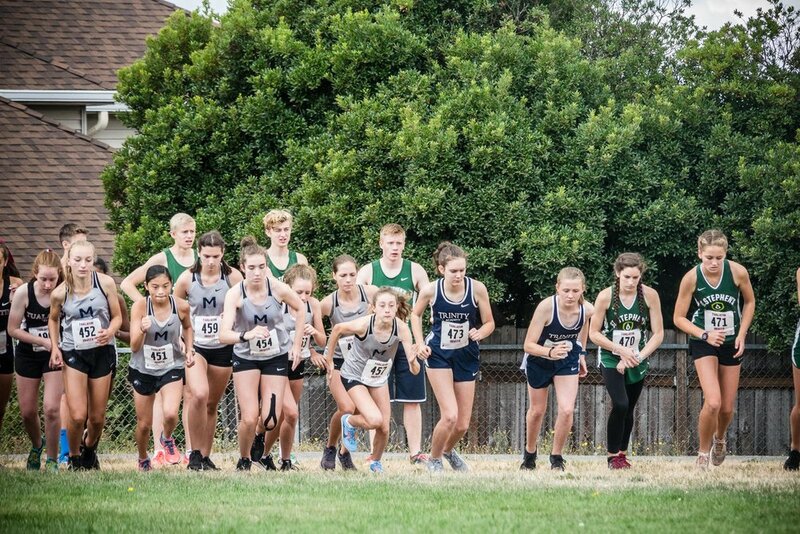 Lia came in at a time of 26:14.89 placing #55 of 59 (26:27.3 last week). For the men's 5000 meters J.V. race Tovi came in at 22:06.81 placing #69 of 123 (23:20.3 last week). Jacob was at 33:36.88 placing #122 of 123 (41:45 last week). 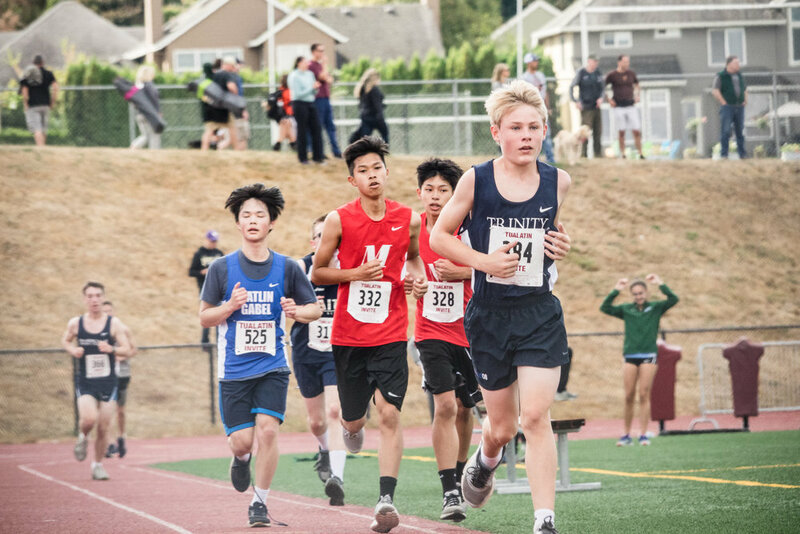 The varsity race entries included Gabe Cowley at 19:32.70 placing #72 of 123 (2017 time of 21:41 & 20:31.9 last week) and Gabe Canfield came in at 21:43.91 placing #109 of 123 (22:33.9 last week).